Written by Leslie Stimson -- There usually isn’t much agreement among the witnesses during a hearing on music licensing copyright royalties, and Tuesday’s wasn’t really different. 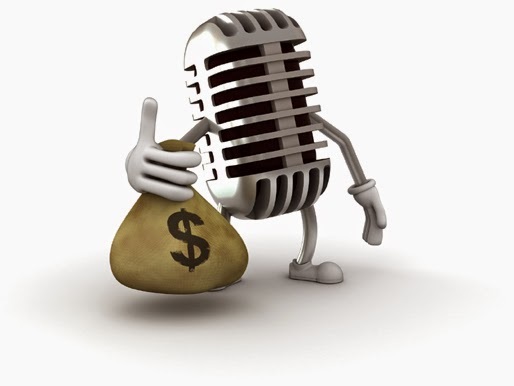 About the only thing those from the worlds of songwriters, publishers, record labels, broadcasters and Pandora sort of agreed on is the lack of transparency about where the money goes. But they didn’t agree on how to fix that. Officially, lawmakers on a subcommittee of the Senate Judiciary Committee were probing for answers on whether Congress should get involved as the Department of Justice reviews the ASCAP and BMI consent decrees governing terrestrial and digital music licensing and those royalties. ASCAP and BMI want the consent decrees to be relaxed, calling them outdated. The NAB and Pandora cautioned the committee about passing laws to loosen the consent decrees, instituted in the 1940s to prevent anticompetitive behavior. ASCAP CEO Beth Matthews said the organization is not asking to end the consent decrees but to modify them so they can reach a rate decision without a costly and time-consuming decision by the rate courts. To that, Bonneville International VP of Business Affairs/General Counsel Mike Dowdle, testifying for NAB, said arbitration is not really less expensive or less time-consuming. “Be careful what you wish for.” Based on past behavior, ASCAP and BMI would engage in anticompetitive behavior if the consent decrees were relaxed, he said, unless there is a “regulatory construct” to prevent that. Noting that if he has a hit song, he gets a plaque when that song reaches 50 million or 100 million spins on terrestrial radio but it’s a different ballgame when it comes to spins on Internet streaming services. “At one million spins we’re taking our kids to the movies. One hundred million spins is worth a few thousand dollars. How is that fair and where is the middle ground?” Miller asked. Pandora VP Business Affairs Chris Harrison said at $450 million in 2014, Pandora pays more in royalties than either terrestrial or satellite radio. Last year, Pandora would have paid Miller and his co-writers about $7,000 for “Southern Girl,” and close to $90,000 to Tim McGraw (who sang the song) and his label. “This disparity must be solved by the copywriters themselves, not on the backs of services like Pandora,” said Harrison.